Avis Car Hire operates throughout South Africa offering premium car hire packages at affordable prices. 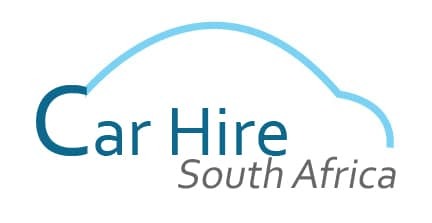 At Car-Hire South Africa we make it simple for travellers to search, book and pay for their Avis car rental online in just a few simple steps. Avis car hire prices start around R189.00 per day depending on seasonality and demand. Avis Car Hire was first born in Detroit, USA, in 1946. The company was founded by Warren Avis with just 3 cars available for hire. Since then, Avis Car Hire has grown exponentially and can be found in over 165 countries with more than 5 000 branches in operation. In 1967, Avis Rental Car opened for business in South Africa in Johannesburg, Durban and Cape Town. The Avis South Africa brand only become available country-wide in 1972 and in the early 1980s, crossed borders into Namibia, Botswana, Lesotho, Swaziland, Angola, Mozambique, Zambia, Malawi, Zimbabwe and Madagascar. In 1997, Avis South Africa was listed on the Johannesburg Stock Exchange and in 2009, the company became the very first car rental company to become carbon neutral. Avis Car Hire also offers insurance cover, booster seats and emergency road side assistance available to all customers. Travellers can find an Avis Car Hire branch at leading airports across the country including OR Tambo Airport (Gauteng), Cape Town International Airport (Western Cape), King Shaka International Airport (Durban, KZN), Port Elizabeth Airport (Eastern Cape), Lanseria Airport (Gauteng), Kruger Mpumalanga Airport (Skukuza) and East London Airport (Eastern Cape). Passengers must advise on the features that they require before making bookings. These include air bags, car booster seats, central locking, power steering, air conditioning, radio and many other extras. Once travellers have booked their Avis car, they will need to collect the rental car from the airport branch on arrival. Travellers must report to the Avis Car Hire office and present a valid driver’s license and a credit card in the driver’s name. For pre-booked rentals the credit card used for the booking must be presented along with a pre-paid voucher unless otherwise stipulated during the booking process. International driver’s must present a valid passport when collecting their rental car. Use our online search feature to book and confirm cheap Avis car rental prices with Avis branches across the country. Search for rental options by date, budget and area. Let Car-Hire South Africa make your travels simpler. Book your Avis car rental in South Africa with us today. You can choose your desired model from the Avis fleet and the approval period is one day in most cases. They also ensure instant mobility because as soon as the administration is covered, you can drive away in a loan car if your desired model is not instantly available for any reason. One good thing about their long-term rentals is that whenever you decide to cancel the contact, they do not penalise you and the monthly payment is stopped immediately. The single monthly payment you make covers maintenance, rental and protection against potential costs as in the case of an accident or theft of the vehicle. Along the months, you can opt to downgrade or upgrade to a new contract and this is simply enabled through cancellation of the old contact and signing a fresh one. Just whisper the word ‘Avis’ and immediately thoughts of car hire come to mind. So prominent is this globally known car rental company that birthed way back in the 40s on American soil in Detroit with the original name of ‘Avis Airline Rent a Car System’. The outset of ‘Avis’ in South Africa was during the latter part of the 60s in Bloemfontein when ‘Zeda Car Rental and Tours (Pty) Ltd’ was founded, later becoming ‘Avis Rent A Car Systems Incorporated’. ‘We try harder’, not just a slogan but an actual commitment made by each staff member of ‘Avis’ has effectively cemented this vehicle rental company in the big league, with continued growth and success. Offering clients nothing less than superb service, covering all aspects from car to truck hire and more, Avis Car Hire spans nine provinces with branches to be found in over 80 locations including 24 airports in South Africa alone. Ensure your travel experience is a pleasurable one, log into the user friendly ‘Avis’ website for comprehensive information and check on the operating times of the branch you need to use. Avis Car Hire Reviews – See What Our Customers Are Saying! From freedom to finances, there are so many reasons why Avis Car Hire is the perfect getaway idea. Whether, a torrential rain while camping or a breakdown or a blocked track; Avis car hire made my tour easy with my family.